Rwanda and the DRC accounted for most tantalum mining in 2017. Find out which other three countries produced significant amounts of the metal last year. Tantalum is an important component in many modern technologies, and is used in capacitors for everything from computers to mobile phones. Despite its importance in the world today, tantalum mining takes place in very few countries. Most tantalum is mined in Rwanda and the Democratic Republic of Congo (DRC), areas known for issues related to conflict minerals. Together they account for around 60 percent of global production. Nigeria, Brazil and China were the other top countries for tantalum mining in 2017. Read on to learn more about the world’s largest producers of the metal; all statistics come from the US Geological Survey’s most recent report on tantalum. Rwanda is the world’s biggest tantalum producer, but as mentioned it is associated with conflict minerals issues — it is an open secret that much of Rwanda’s mineral production arrives from countries like the DRC, where conflict minerals are a problem. For that reason, it is difficult to know how much tantalum is actually produced by Rwandan mines. Better Sourcing is one company aiming to make the Rwandan tantalum mining industry more transparent. In 2018, it was reported that a Macedonian company, Power Resource Group, had made a $12-million investment in land towards the construction of a tantalum refinery in Rwanda. Once complete it will be the country’s only mineral refinery. The DRC and Rwanda switched places for tantalum mining in 2017. The DRC wound up in second place last year, producing roughly 30 percent of the world’s tantalum. In total, it put out 370 MT for the period. As mentioned, mining practises in the DRC have a reputation for being being corrupt. Steps have been taken to discourage companies from purchasing tantalum produced unethically in the country, but they have faced challenges. For instance, the Dodd-Frank Wall Street Reform and Consumer Protection Act, which was designed in part to stop the flow of conflict minerals from countries like the DRC, has been slow to have an impact. What’s more, once in power the Trump administration voiced a desire to repeal some parts of the act. Later on, the Senate approved plans to roll back many of the key rules in the act, essentially rendering it defective. In 2018, the House approved a roll-back bill, and Trump signed it into law. Nigeria came in as the third-largest tantalum mining country in 2017. The nation is believed to have large tantalum reserves, although the exact figure remains unknown. Much of its tantalum is found in tantalite ore in the Nigerian states of Nasarawa, Kogi, Osun, Ekiti, Kwara and Cross Rivers. Brazil is the next-largest tantalum-mining country, and one of only two on the list outside of Africa. Overall, Brazil is home to 34,000 MT of tantalum reserves. The country’s largest tantalum mine is the MIBRA project, owned by Advanced Metallurgical Group (AMS:AMG). In light of issues facing tantalum from Rwandan and Congolese suppliers, Brazil could become a major source of tantalum for companies around the world in the coming years. In 2017, the country was the largest supplier of tantalum minerals to the US, accounting for 40 percent of imports. China is another large tantalum producer, and in 2017 its production held steady year-over-year, increasing just 1 MT. Last year, it was the biggest supplier of tantalum metal to US companies, with 23 percent of the metal imported to the US having come from China, according to the US Geological Survey. That number may be quite different in 2018, after the two countries engaged in a trade war involving high tariffs for both sides. While Australia did not make the top tantalum-mining list last year, it’s expected that it will appear on it in 2018. The country has the largest tantalum reserves in the world at 78,000 MT, and in March 2018 the Bald Hill lithium-tantalum mine in Western Australia commenced production. 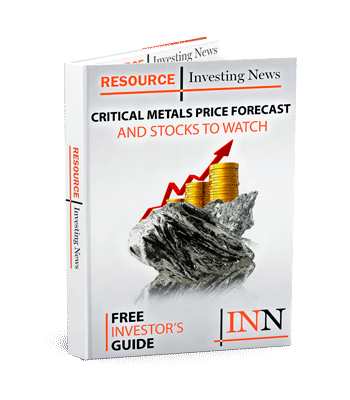 This mine is a joint venture between Tawana Resources (ASX:TAW) and Alliance Mineral Assets (SGX:40F), and they are eager to take advantage of the country’s vast tantalum potential. Which tantalum-mining country do you believe will come out on top at the end of this year? Get the latest information about companies associated with Tantalum Investing Delivered directly to your inbox. This data is incorrect. CY 2015 shipments of tantalum ore from Congo and DRC is 600 Metric Tons. Shipments from Rwanda are 1046 metric tons. Africa and the rest of the world have done a remarkable job in regulating the supply of tantalum ore and have been subjected to intense scrutiny because of an amendment to sweeping United States financial legislation. A key player and I were having drinks when the theft of tantalite broke out of dar el Saleem and the immediately reaction was- oh those thieve dont know what they are doing; they are stealing a base metal that is under microscopic scrutiny; every cop and public official from here to Shanghai is going to be on the look out for it. Anyway, shipment data for ore is specific and the methodology to gather it, which I developed 20 years ago, is exceptionally accurate. I may suggest to the TIC that I present the methodology, a lot of which was based upon the on site surveys of actual mine sites by Sons of Gwalia. Could you please take Rwanda out of this list. How can you be the largest world producer of coltan when you don’t have any mines? Kagame and Rwanda have embezzling DRC’s minerals, especially coltan, for the past 20 yrs. It’s a travesty and ludicrous for you to even include Rwanda on this list, even you have doubts. Maybe Kagame’s lobbyist?